As part of promoting Microsoft softwares among young generations, Microsoft is giving away its famous products for free, to students. The program named DreamSpark, they says "it's all about giving students Microsoft professional-level developer and design tools at no charge so you can chase your dreams and create the next big breakthrough in technology - or just get a head start on your career", has been kicked off aiming to build trust and awareness among the young generations about the MS Products. The products lined up for DreamSpark program are, Microsoft Visual Studio 2008 Professional Edition, MS Windows Server 2003 Standard Edition, Microsoft SQL Server 2005 Developer Edition, Microsoft Expression Studio, XNA Game Studio 2.0, XNA Creators Club Online and Microsoft Visual Studio 2005 Professional Edition. Everything free of charge!!!. If you are a student who belongs to any of the accredited schools in United States, United Kingdom, Canada, China, Germany, France, Finland, Spain, Sweden, Switzerland and Belgium, then you are lucky enough to claim this free offer today itself. Also Microsoft mentioned that, they are working towards to add more countries and schools to their DreamSpark program. 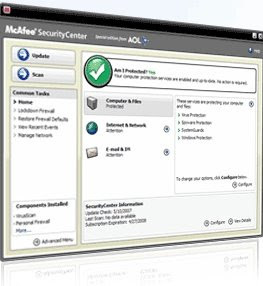 AOL partnered with McAfee to deliver most comprehensive free set of safety tools available in the market. McAfee VirusScan Plus - Special edition from AOL is the result of this partnership. * Virus protection: To guard your whole PC. 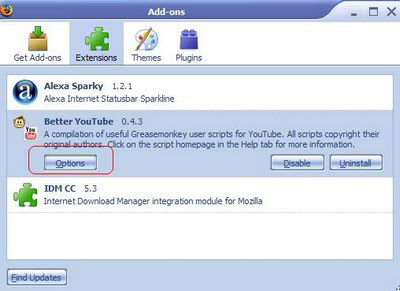 * Spyware Protection: To block potentially unwanted programs. * Firewall: To help keep hackers out. Windows Vista:800 MHz or higher processor,512MB RAM , 200MB hard disk space. Windows 2000 (SP4+), XP (SP1+): 500 MHz or higher processor, 256MB RAM,200MB hard disk space. These comprehensive set of safety tools is provided free of cost, with an aol.com email id. The latest sibling of Fedora family of Linux, Fedora Core 9, showcases the latest in free and open source softwares. Fedora comes with all world class softwares for Word processing, software development, multimedia, Graphics, Games, System utilities, Electronic Development tools, Scientific tools, databases, servers and cool 3D desktop. Everything is free of cost. Its worth trying for non Linux users, or you are going to miss it. Of course its a golden feather of satisfaction and happiness for Linux users. Download Fedora core 9 for free to experience the creativity and innovation. 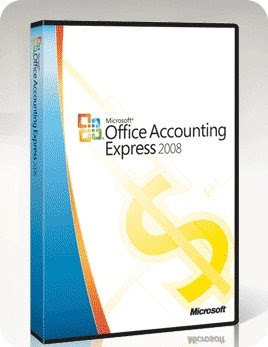 Microsoft is giving free accounting software for business, Microsoft Office Accounting Express 2008, which integrates well with Microsoft Office products. Microsoft Office Accounting Express 2008 is not just an accounting software but it can help you make online transactions using PayPal, create eBay listing, importing the data to excel, CSV and other document formats. This also help you to create and manage invoices, track time and expenses and bank online. The Microsoft Office Accounting Express 2008 is designed for US and UK based small businesses only. And all these accounting feature bundled software is available free of cost from Microsoft. Don't forget to subscribe to get more tutorials ! There are number of MP3 cutting software available, even some are available free of cost. But, with the onset of Web 2.0 the softwares are being pushed to the server side and being used as services. 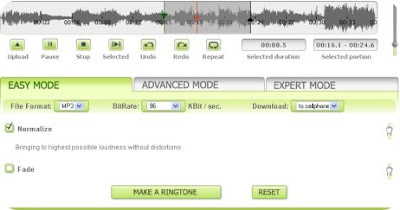 Then of course, we must have a service for cutting mp3 files to make ringtones for your mobile phone. I came across a website, makeownringtone.com, which allows making your own ringtones from mp3, ogg, wma file formats. 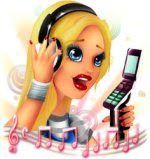 It can give ringtones in mp3, ogg, aac, mp4, mmf, mpc and qcp formats.Also there are couple of audio processing options available in advanced and expert modes. Everything is available free of cost and even without signup or registration. In fact, this online ringtone converter service will help you to make ringtone by selecting the waveforms of your desired music or song. Once you finish selecting the range for making ringtone, just click the button "MAKE A RINGTONE" and select the option for getting the ringtone file. You can either download the ringtone to your computer or can get a WAP link so that you can directly download the ringtone in your mobile phone itself. If you select the entire portion of the uploaded mp3, ogg or wma file and choose the output as mp3, ogg, aac, mp4, mmf, mpc or qcp format, then you can use this as a service for converting mp3 files to aac, mp4, mmf, mpc and qcp formats. Make your own Ringtone right now. distribution, which has cool look of Windows Vista and of course its free. 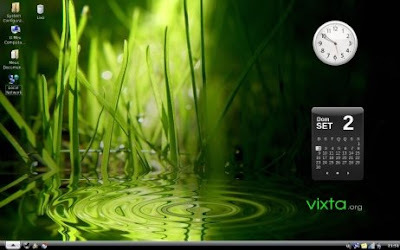 The Windows Vista look alike Linux operating system is Vixta.Org. This distribution has all the features required for a basic computer user. Just try Vixta.Org yourself to believe. Download Vixta.Org for free. When you load youtube, sometimes it very slow. There're many way to load youtube quickly. 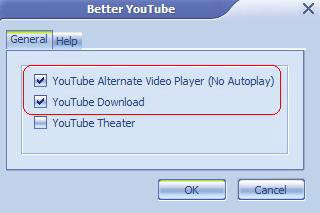 Today I recommend a add-on of firefox help you load youtube fast. * Moms@Alltop - A collection of RSS feed headlines from the top mom bloggers in the blogosphere on one page. Make this your starting page for tracking the best content from moms who blog. * 50 Best Mom Blogs - Vanessa Van Petten has a great round-up of favorite mom bloggers arranged with reviews and some of each blog’s most popular articles. * Ultimate Mommy Blog List - Guy Kawasaki has compiled a list of Mommy Bloggers and attempts to be the definitive list of blogs for moms. * Mommys @BlogHer - BlogHer is a top guide to blogs by women, via annual conferences, a Web network. Check the Mom Bloggers List. * Hottest Mommy Blogger - the search is on at the Blogger Choice Awards. Topping the lists are Because I Said So, Dooce, Karen Cheng’s Snippets of Life, Pioneer Woman, Sarcastic Mom, Ashley’s Closet. * Blogcatalog: Mom Blogs - is a collection of mom bloggers. There are over 900 mom blogs there! * Top 100 Mom Blogs Awards - Mothers Day Central knows mom bloggers work hard, and run blogs, all the while also helping other moms. They shared the extra recognition in 2007, but still useful. * The Mom Salon - where women gather to find smart mom blogs through a category-based directory. Join their Mom Bloggers Club - their social networking space for mom bloggers. * The Mom Blogs - A directory of Moms who blog. Here are the best rated mom blogs. * Best Momblogs Ever - The Ever project compiles best of mom blog ever and you can vote, share, add, any other Super Mom blogs out there. Powered by Squidoo. Topping the charts are Sprittibee, Mummy Chronicles. Bitdefender is currently offering a free 180 days license key promotion for computer users. This license key is meant for the following products; Internet security 2008, BitDefender Antivirus 2008 and Total security 2008. I’m not entirely sure how long the offer lasts but if you wish to put a try on it you better get it fast. 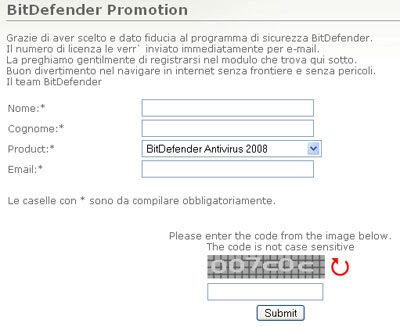 To get the free Bitdefender system go to this page. It’s obviously meant for Italians judging on the promotional page. The first box and second box corresponds to your first name and your last name respectively. Choose either of the 3 products mentioned previously, enter your email address and don’t forget to enter the captcha. The license key should be in your mail box shortly after that. The applications can be downloaded directly from this page. For those who are looking for extra products details, go to Bitdefender Chart for comparison. For me, I will definitely be choosing BitDefender Total Security 2008 because it includes all features available in the other 2 products. So hurry up before it’s gone. What is Rss ? Sometimes, you visit a website (or blog), you can see this text: Subscribe to read via feed (or rss). But do you know what is rss ? RSS is short for Really Simple Syndication and is a web feed format used to publish frequently updated content such as blog entries, news headlines or podcasts. RSS is the best way to keep track of latest content on your favorite blogs. 1. Commoncraft teaches you the basics of RSS. 2. Sally has no idea about RSS and learns how to subscribe to Web feeds using Firefox, an RSS reader and Thunderbird. 4. Find lots of uses of RSS feeds and how to use different feed readers. 5. A commentary on RSS Feeds and why you should incorporate them into your web browsing life. Get motivated to start with RSS right now.